See our video for bass boats; the No Rope/No Cleat Inflatable Fender and Mount for Small Aluminum Boats works the same way. The fender consists of a mount designed for Taylor Made's Hull Guard Fender and the fender itself. 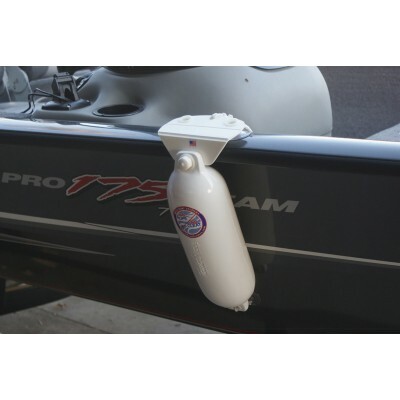 The No Rope No Cleat Inflatable Fender and Mount has all the advantages of all the No Rope No Cleat products. The mount and fender are connected together with a nylon bolt to create a fender for small aluminum fishing boats.